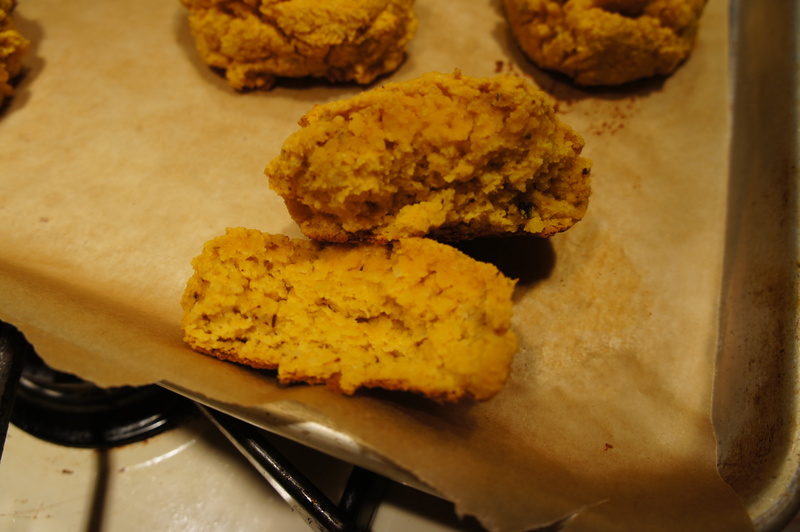 paleo almond flour pumpkin scones | Kaprise! I ran 3 miles today. I kept a little bit of a faster pace and got a good work out in. I was actually pretty tired after this run, which is atypical. I sat on the dock in the lake where I ran and chatted with my new found friend while I stretched before heading home. I didn’t feel like making anything so I picked up a salad and headed to the library. I don’t know what was up with that salad, but I felt terrible afterwards. I drank nearly a gallon of water trying to get rid of that dry, weird taste in my mouth before I gave up and came home. I ate some carrots and downed an electrolyte drink before taking nap… apparently that did the trick because I feel better. Anyway, lesson learned. No more store bought salads. I also just noticed that I gave myself a good sunburn on my shoulders from sitting out on the dock… so sunblock for tomorrow for sure. Though, I’m told it will be raining so we’ll see how my run shakes out tomorrow. In the mean time, I want to share a new scone recipe that I tried out. I know… I know… I have so many of these types of recipes on my blog, but since I do spend a rather large portion of my day sitting in the library, I like to have good food that is portable. I’ll do a separate blog post on what I take to the library, but that’ll have to be another day. 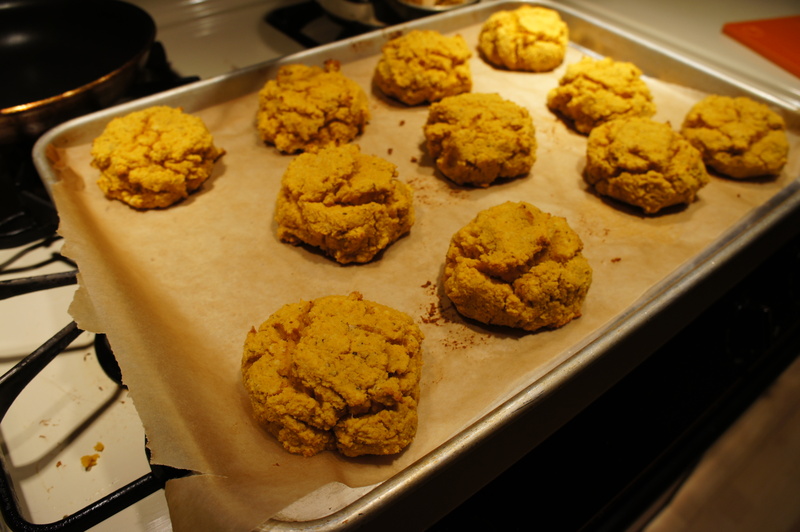 So… these are almond flour scones (again) but sweetened with a bit of maple syrup and fluffy from the delicious pumpkin puree. I used this recipe from The Spinach Spot. I just found her blog today, and it’s totally awesome! I tweaked (as always) and swapped the baking soda for baking powder, added a palm full of hazelnut flour, and skipped on the frosting. They turned out fluffy, moist, and absolutely delicious. I do have quite a sweet tooth, so next time I’ll add a little more maple syrup… maybe chocolate chips or some dried fruit…..
So… what did you all do today? Any weird food experiences like mine? What do you like to avoid? ?